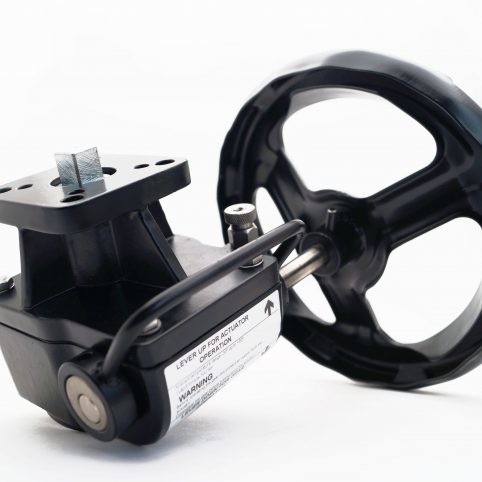 Creates manual override in air actuated assemblies. Consider valve and actuator torque. Declutchable gearboxes have a system to disengage (declutch) the drive connection between the actuator and valve allowing hand wheel operation of the valve and actuator assembly. Model RMD102 has a cast iron housing and handwheel.